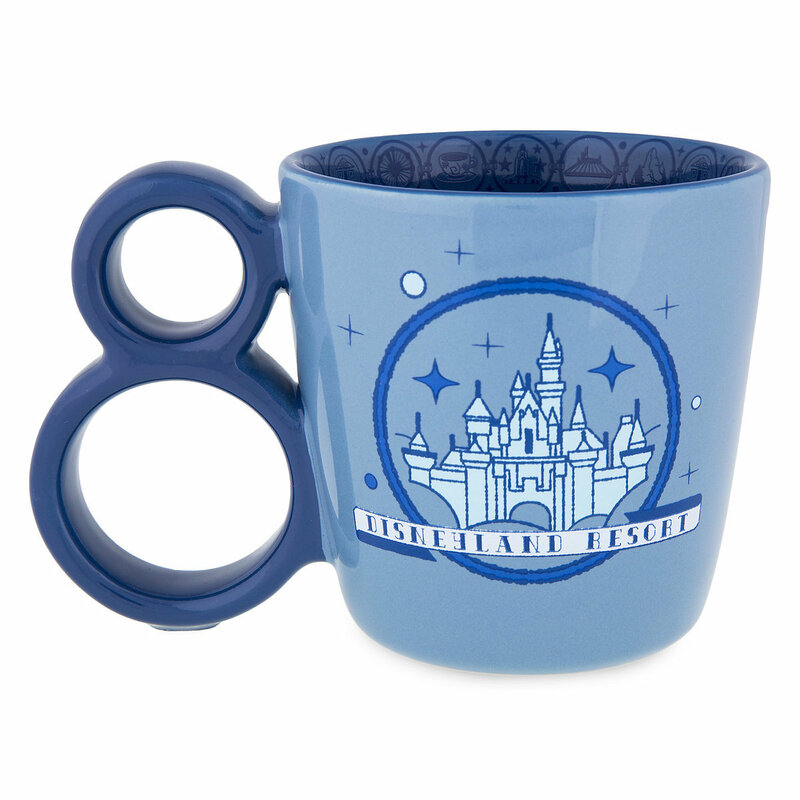 Enter to win this dated 2018 Disneyland mug plus a $20 Starbucks Gift Card to get your 2018 off to a great start! This giveaway is open worldwide and the winner will be notified by email!!! 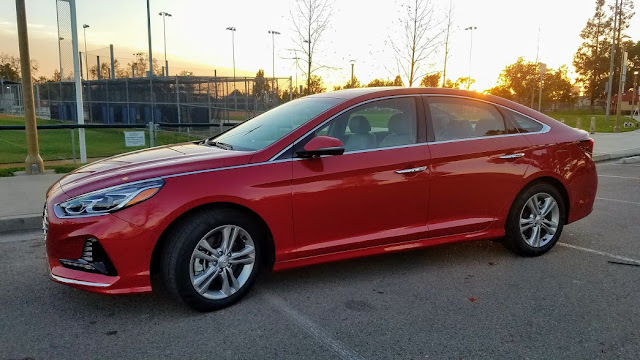 Vehicle Review: 2018 Hyundai Sonata Limited - Titanic, a Wedding and a Food Adventure! Hi everyone! It's Jason from Sasaki Time and it is time for another vehicle review! This time it is for the 2018 Hyundai Sonata Limited! The 2018 version has received a significant refresh. The lines were changed to give the Sonata a more family vehicle vibe. There are large LED headlights and taillights, the headlights have dynamic bending light technology to light your way as the roads curve to help you to see around the bend, LED daytime running lights, large 17-inch alloy wheels, and heated side mirrors with turn signal indicators. Time to hop into the driver's seat and meet a friend to see the 20th Anniversary re-release of Titanic. Hard to believe that it has been 20 years since the movie Titanic hit theaters. 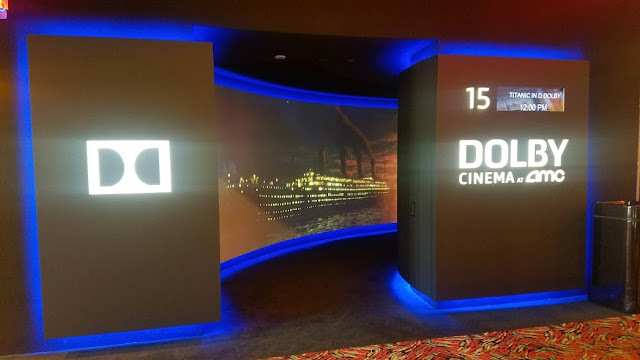 For the 20th Anniversary release, Titanic was mastered for Dolby's premiere Dolby Cinema Theater. This is by far my favorite way to see a movie. Dolby partnered with AMC and has created the perfect way to watch a movie. 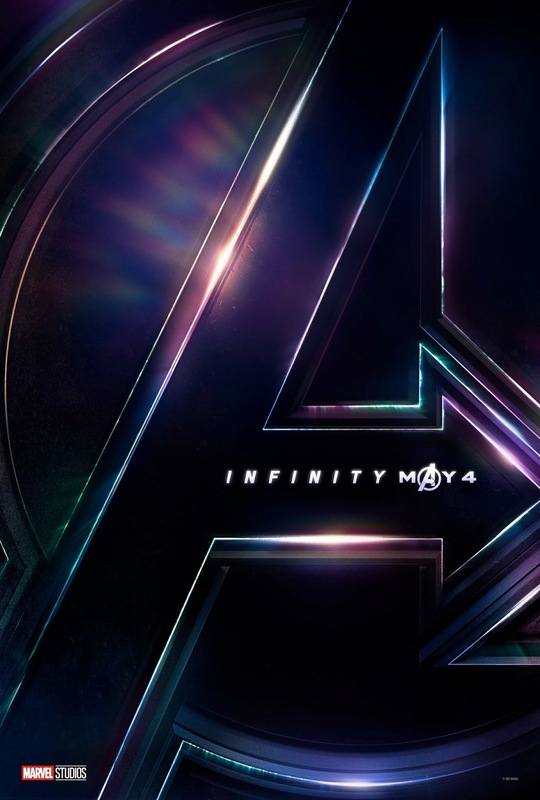 The theater is a equipped with a floor to ceiling and wall to wall screen, a perfectly blacked out theater, Dolby Atmos speakers, a Dolby vision projector that produces the inkiest blacks, and perfectly aligned stadium seats that are angled at the edges to still provide the best view of the screen. Watching Titanic in Dolby Cinema was like watching this movie for the very first time. The colors were sharp and breathtaking and you can feel the roar of the engines and feeling the rush of the flooding waters gave a bigger sense of urgency to get out of the ship. A truly amazing experience and hope that Dolby partners with more filmmakers to bring older films to this format for limit releases. Take a 360 degree look at the interior. As you can see there is a lot of leg room for both the front and the rear passengers. 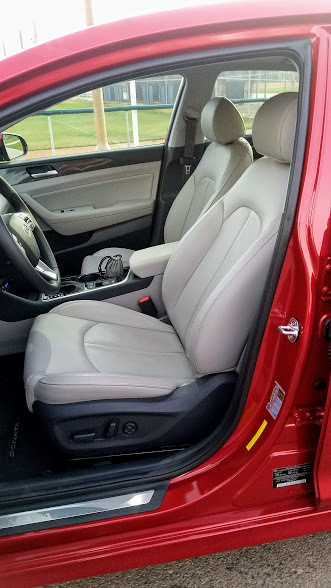 There are power front seats with integrated memory seat for the driver's seat, heated and ventilated front seats, a heated steering wheel and a power tilt and slide sunroof. 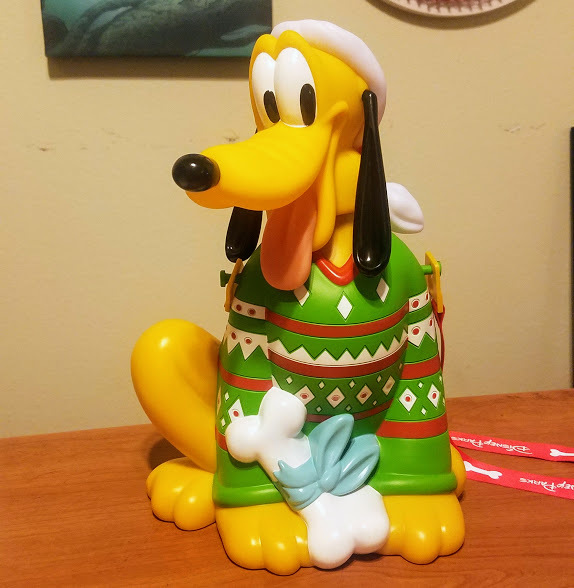 Enter to win this ugly Christmas sweater Pluto popcorn bucket from Disneyland! This giveaway is open worldwide and the winner will be notified by email! Good luck! 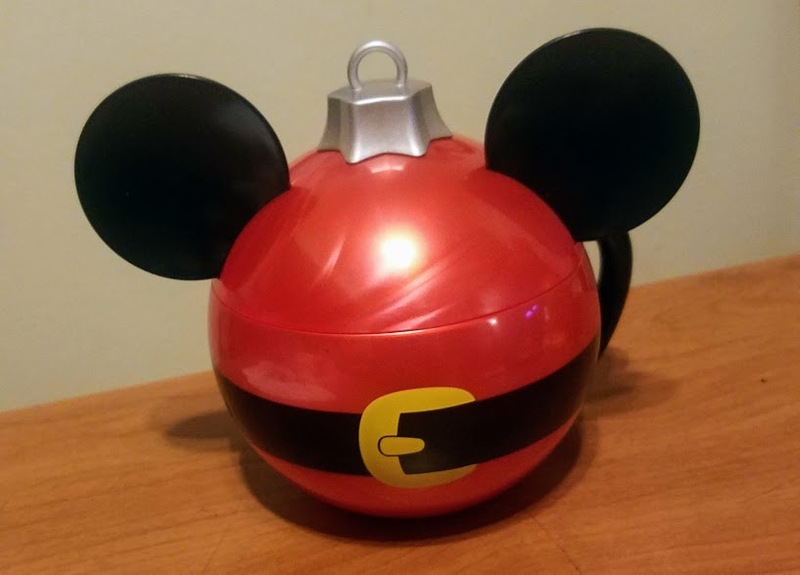 Win this super cute Mickey Mouse ornament stein from Disneyland! The giveaway is open worldwide and the winner will be notified by email! Being a huge fan of the original series, I had my doubts about this reboot. But after watching the Disney XD premiere I became a fan of this new series. 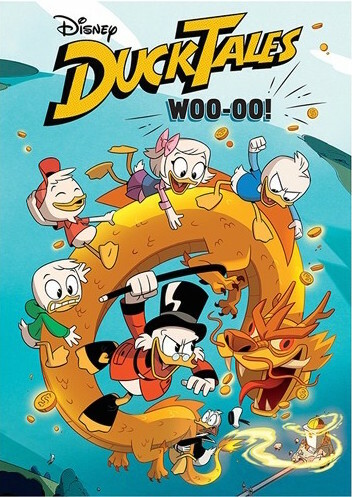 Fans of the current series can now watch the series’ first DVD release, Ducktales: Woo-oo! This DVD features the premiere double-length episode event, Woo-oo!, and a few shorts as bonus features. I would have loved to see additional full episodes as part of this release but this will do for now. The animation style of the new series is reminiscent of the original Carl Barks comics in terms of color schemes and comic textures. There are also a ton of Easter eggs that pay homage to the original series. The most noticeable difference from the original series is that Huey, Dewey, and Louie have distinct personalities. Webby is also an essential part of the team as she is sort of a McDuck historian. Scrooge and Launchpad are essentially the same as in the original series. Donald Duck is here for the majority of the adventures this time around. Mrs. Beakley serves as both a housekeeper and a bodyguard, and the loyal butler Duckworth, isn't here in this new series or at least not yet. This special begins when Huey, Dewey and Louie discover that their uncle is the one and only trillionaire treasure hunter Scrooge McDuck. Sadly, Scrooge hasn't been on an adventure in years. The nephews along with Webby stir up some supernatural trouble in the mansion and this leads everyone to find the lost city of Atlantis. 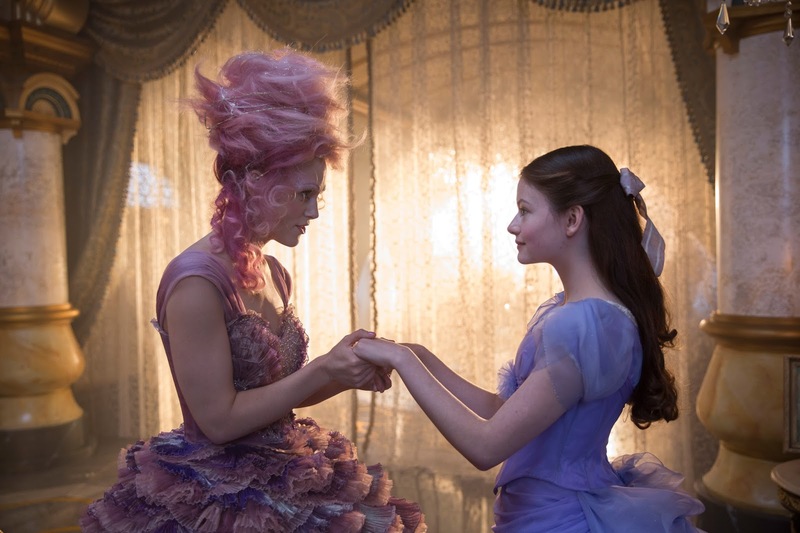 In the end, they discover that family is the greatest adventure of all. The reboot of DuckTales is wonderful taking visual and style cues from the original comic book source and the original animated series while still being its own series. Hopefully this first DVD release, while short on content, is still a worthy release and hopefully the first of many. 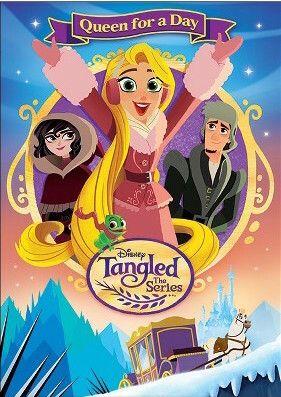 Last spring saw the beginning of Tangled the Series, which was kicked off with a movie musical, Tangled: Before Ever After. The second DVD release for the show is the double-length musical episode, Queen for a Day. When King Frederic and Queen Arianna leave town to celebrate their anniversary, Rapunzel becomes Queen For A Day. 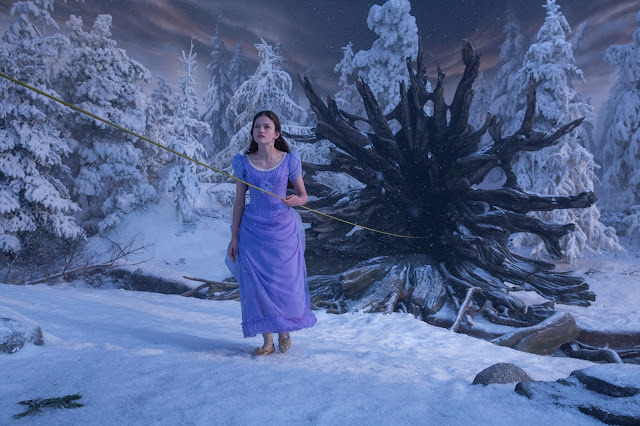 When a blizzard strikes and threatens her parents, Rapunzel finds herself with some tough decisions to make. Can Rapunzel and her friends save the day? Tangled: The Series - Queen for a Day is a fun musical episode that fans of the series will love adding this to their collection. I wish that Disney had included additional full episodes to round out this disc. If you or your child are huge Rapunzel fans, this TV special is worth adding to your collection. It has been two years since we last saw our friends and enemies in The Force Awakens. They are all back with new friends for the eighth installment of the Star Wars Saga, The Last Jedi. Just as in my review for The Force Awakens, this will be a spoiler-free review and I can tell you that the trailers and TV spots really give away nothing. The Last Jedi takes the spirit and the energy of The Force Awakens and keeps right on running forward with it! 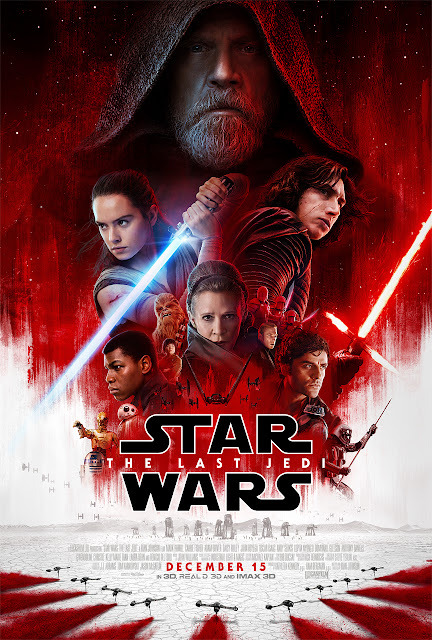 The pacing is perfect and while listed as the longest running time of any Star Wars movie, The Last Jedi could have easily gone another hour and we would have never known it. 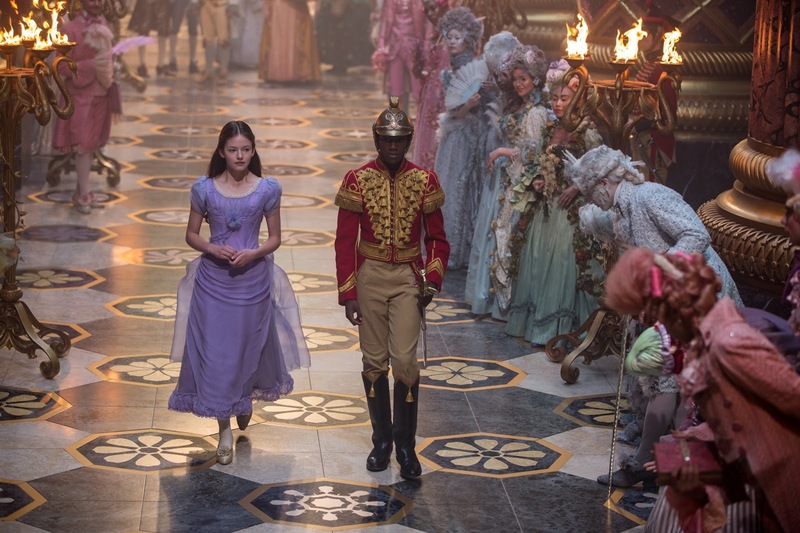 Every shot is about moving the story forward. There is so much going on and so much to process but yet at the same time you do not feel overwhelmed. And while this is perhaps the most emotionally powerful of all the Star Wars films, I would even go out on a limb and say that it is the funniest as well. 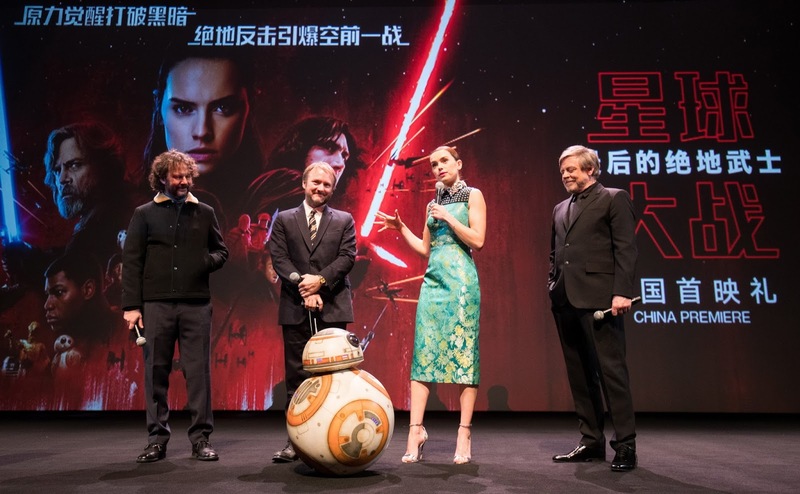 A perfect balance of emotion and humor keeps this movie rolling right along like BB-8. Mark Hamill and Carrie Fischer shine here. This is easily both of their best performances in a Star Wars film. But their performances are easily overshadowed by Daisy Ridley and Adam Driver. As Rey and Kylo Ren, they knock it out of the galaxy. They take their characters to places I never thought they would go and they excel every step of the way. And new comer Kellie Marie Tran as Rose is a sensation. You will fall in love with her. While some accuse The Force Awakens of paying too much fan service to A New Hope, The Last Jedi does pay some homage to The Empire Strikes Back but this is not a rehash of that film. 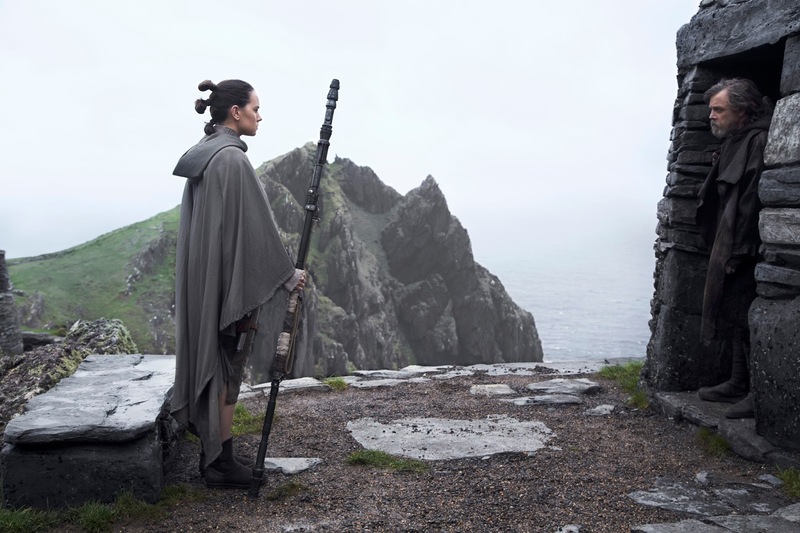 The Last Jedi explores each of the characters more deeply as we learn so much more about each one of them. The characters are at the forefront, pushing themselves and the story forward. And there are some emotional payoffs that were decades in the making. Immediately, I rank this as my third favorite Star Wars film right behind The Empire Strikes Back and A New Hope. The Last Jedi is powerful, emotional, funny and just epic. There are also some of the most spectacular action and stunning visuals of the entire saga. Rian Johnson and his team move the saga forward in powerful and stunning ways. Never afraid to take big risks and the payoff is huge. I cannot wait to see what happens in Episode 9 and I cannot wait to see what Rian Johnson has in store for us with his own Star Wars trilogy. My advice is to avoid spoilers at all costs! BURBANK, CALIF. (December 7, 2017)—Following successful collaborations marking the release of Cinderella (2012) and Maleficent (2014), Christian Louboutin is pleased to once again collaborate with The Walt Disney Studios to commemorate the release of the latest, highly anticipated entry in the Star Wars saga—Star Wars: The Last Jedi. Invited to San Francisco earlier this year by Lucasfilm, the designer was welcomed at Industrial Light & Magic (ILM), the innovative studio leading VFX and animation for the Star Wars franchise. 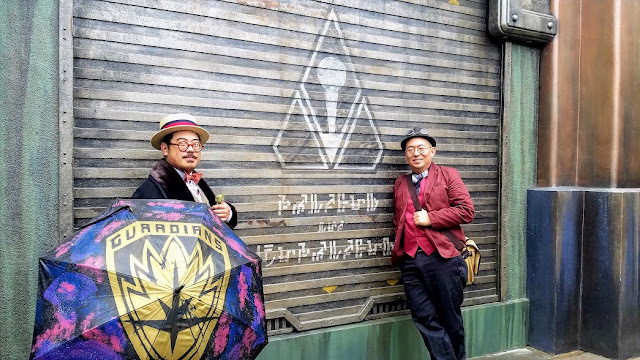 There, in meetings with Vice President and Executive Creative Director for the Star Wars franchise, Doug Chiang, the idea of the Nomad Shoemaker’s masterpiece was born; the result is an imaginative and innovative mix of the Christian Louboutin and Star Wars teams’ creativity and savoir faire. 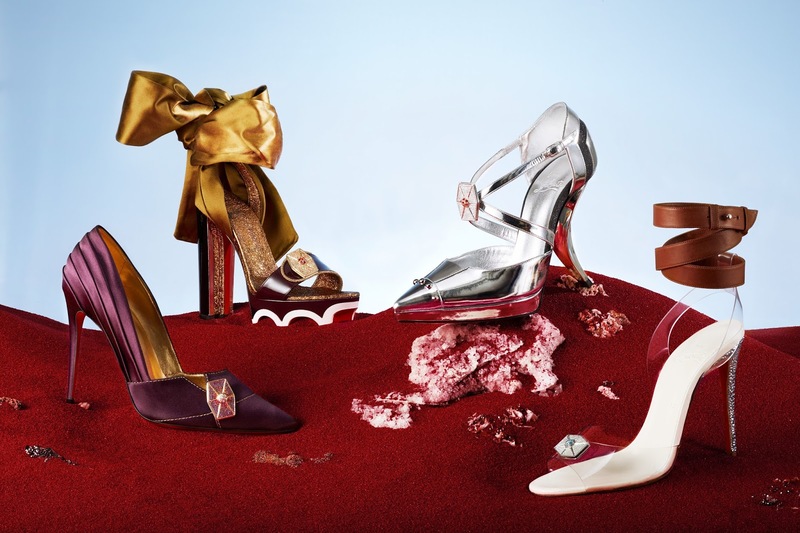 Debuting at the film’s premiere in Los Angeles, the showpiece shoe takes inspiration from the franchise, as well as styles in Christian Louboutin’s collection and a boundary-pushing art piece from the archives, the Ballerina Ultima, which boasts a breathtaking 6” heel. To complement the showpiece shoe, Christian Louboutin has created four exclusive custom shoe styles epitomizing the spirit of four of the film’s heroines: Rey (Daisy Ridley), Vice Admiral Amilyn Holdo (Laura Dern), Captain Phasma (Gwendoline Christie) and Rose Tico (Kelly Marie Tran). Rey (Daisy Ridley) is portrayed by an ankle-strap leather sandal inspired by the character’s costumes including the harnesses that strap her body, while translucent PVC reflects her Jedi powers and the Force she embodies. The style is finished with a blue strass heel evoking the color of her lightsaber. Vice Admiral Amilyn Holdo’s (Laura Dern’s) pumps are the natural extension of her costume, directly inspired by her draped burgundy cape and the strong, reserved and empowered character she portrays. 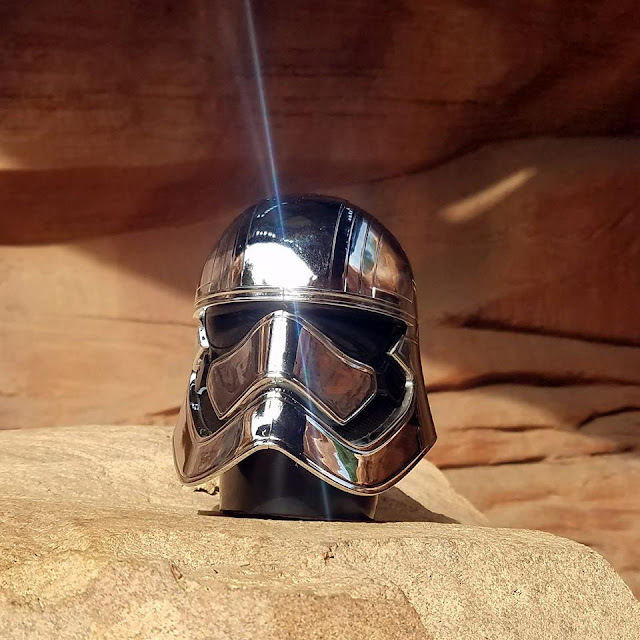 Captain Phasma’s (Gwendoline Christie’s) shoe is evoked by the curves of her armor, represented by silver specchio leather yokes, reflecting her strict and authoritative character. Rose Tico (Kelly Marie Tran) is represented through a utilitarian sandal imagined by Christian Louboutin, depicting a technical, engineering-driven individual. The strong heel protects an inner stiletto, reflecting the shell safeguarding her resilient spirit. Each style is embellished with a bespoke glimmering jewel inspired by the Tie Fighter. 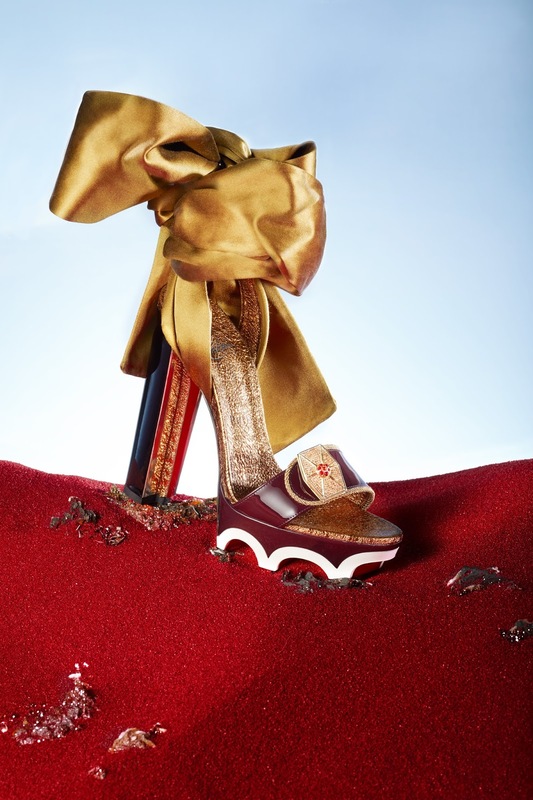 The Nomad Shoemaker’s story will continue with the unveiling of this unique showpiece shoe, created by Christian Louboutin and ILM, guarded by a set of glossy red members of the Praetorian Guard, on the red carpet of the film’s world premiere in Los Angeles on December 9. The custom display for the shoe will feature a hyper-realistic holographic installation. For the designer, the use of a hologram was the best way to express his vision: a combination of creativity, enchanted by magic, enriched by technology. To him, the hologram is the most iconic visual effect of the franchise. This is how the story of the Nomad Shoemaker will be brought to life, inside a unique red crystal showcase, blurring the lines between reality and 3D animation. 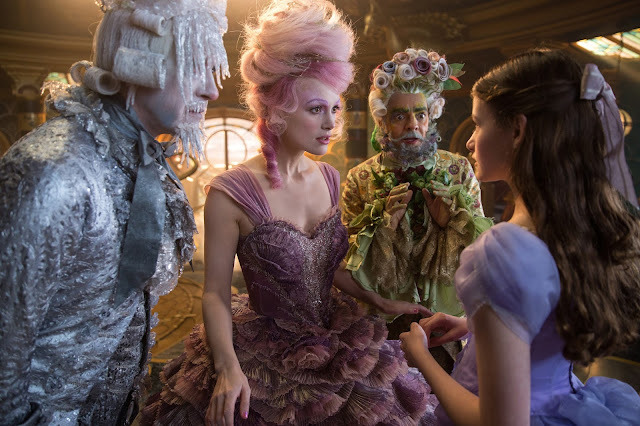 In this custom-made cabinet will be featured the story of Christian’s avatar—transforming a shredded chiffon pump, symbolic of Couture tradition into a spectacular, futuristic Ballerina Ultima-inspired-spaceship, to convoy the designer around the galaxy. The commemorative styles—each signed by the designer, as well as the actress who portrays each character the style was created for—will be auctioned oncharitybuzz.com/StarWars from December 7 - December 20, with a portion of the proceeds benefitting Starlight Children’s Foundation on behalf of Star Wars: Force for Change. 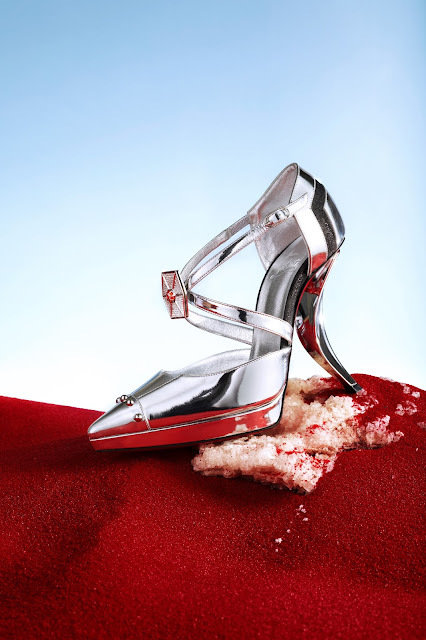 The showpiece shoe, unveiled at the premiere on December 9, will be added to the auction after its much-anticipated reveal. Star Wars: Force for Change, a charitable initiative from Lucasfilm and Disney, harnesses the strength of Star Wars to empower and improve the lives of children around the world. Starlight Children’s Foundation creates moments of joy and comfort for hospitalized kids and their families. Kennedy and Ram Bergman. J.J. Abrams, Tom Karnowski and Jason McGatlin are the executive producers. Star Wars: Force for Change, a charitable initiative from Lucasfilm and Disney, harnesses the strength of Star Wars to empower and improve the lives of children around the world. Since 2014, it was inspired by Star Wars fans, and the countless hours they have dedicated to philanthropy over the past four decades. To date, over $16 million has been raised for charitable causes around the world on behalf of Star Wars: Force for Change. 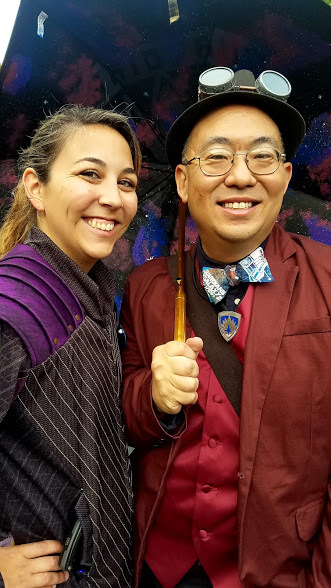 With a bright future ahead, and new Star Warsstories to be told, Force for Change aims to continue collaborating with causes and encouraging others to be forces for change in their own community. To learn more, please visit ForceForChange.com. Starlight creates moments of joy and comfort for hospitalized kids and their families. For 35 years, Starlight’s programs have positively impacted more than 60 million critically, chronically and terminally ill or injured children in the US, Canada, Australia and the UK. With your help, more kids and their families will enjoy Starlight Brave Gowns, Starlight Fun Centers and other Starlight programs at a children’s hospital or facility near you. Support Starlight’s work by visiting www.starlight.org. Christian Louboutin established his business in the First Arrondissement of Paris in 1992. An artist and craftsman with a passion for shoes, his designs for both women and men are unique and recognizable thanks to their signature: the red lacquered soles, and his collections combine wit, glamour, elegance and technical proficiency like none other. A woman’s natural beauty has always been at the centre of the designer’s inspiration, and 2014 welcomed the launch of Christian Louboutin Beauté with its first nail colour, Rouge Louboutin. Since, the designer has released a range of lipsticks, an eye collection and three fragrances for women: Bikini Questa Sera, Tornade Blonde & Trouble in Heaven. With a prolific collection of women’s and men’s shoes, handbags and small leather goods, Christian Louboutin now counts more than 135 boutiques around the world. 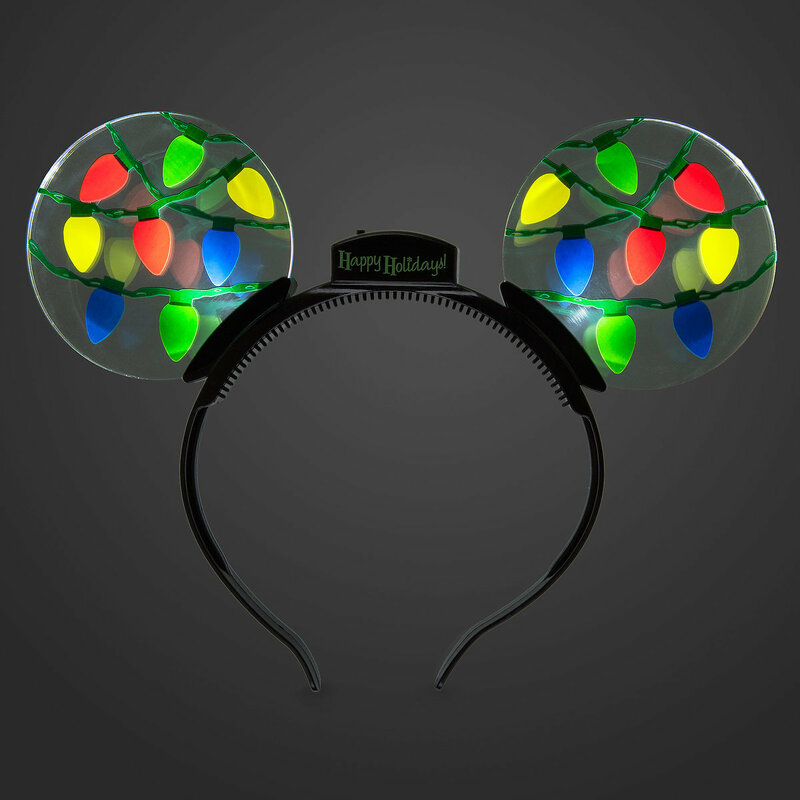 Enter to win this awesome pair of light-up Holiday Mouse Ears from Disneyland! This giveaway is open worldwide and the winner will be notified by email! Good luck and Happy Holidays! 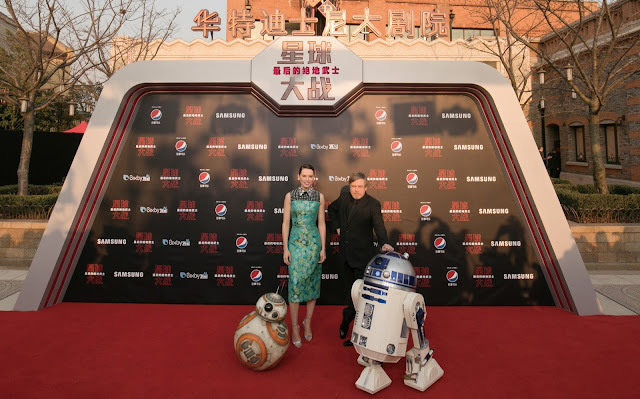 Photos from the STAR WARS: THE LAST JEDI red carpet fan event in Tokyo! 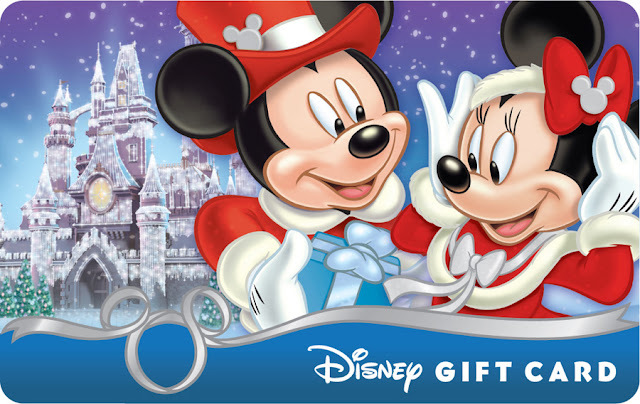 Enter to win a $100 gift card just in time for the Holidays!!! This giveaway is open worldwide and the winner will be notified by email!!! Good luck and Happy Holidays everyone!!! This is the first edition of Snacking In The Parks that takes us to Downtown Disney! 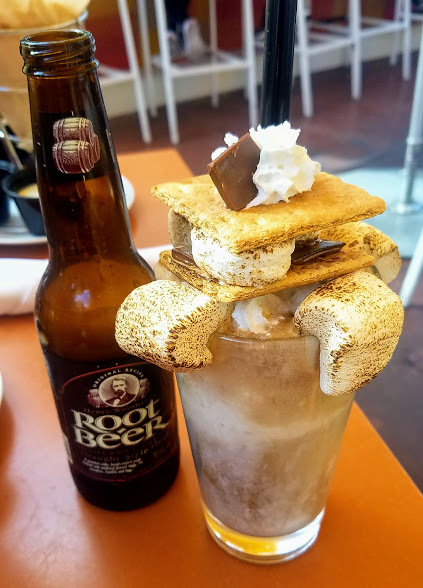 You must try this S'more Root Beer Float from the UVA Bar! One of the best root beer floats ever and look at the massive s'more on top! They take Henry Weinhard's Root Beer, toasted marshmallow ice cream, topped with a housemade s'more and whipped cream! The toasted marshmallow ice cream is full of bits of toasted marshmallow that tastes so great with the root beer! The s'more on top is made to gooey perfection! Plus, the UVA Bar is in outdoors and in the middle of Downtown Disney so it is the perfect place to see and be seen! The cost is $12 and worth every penny! 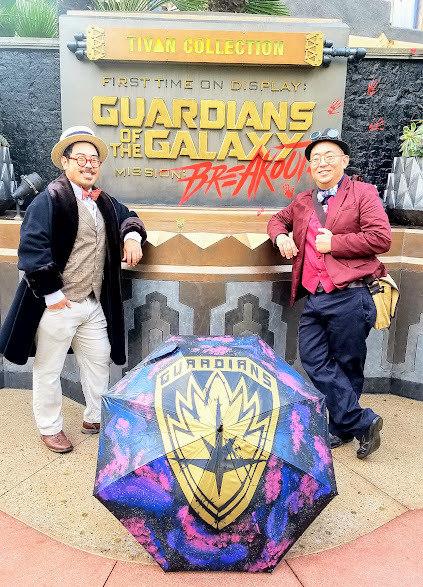 Fall Dapper Day 2017 at Disneyland brought my friend Anthony and I to bring Dapper Starlord and Rocket Raccoon to life! It was meant to be with Guardians of The Galaxy, Vol. 2 being released earlier this year and the opening of Guardians of The Galaxy: Mission Breakout shortly after the movie opened! 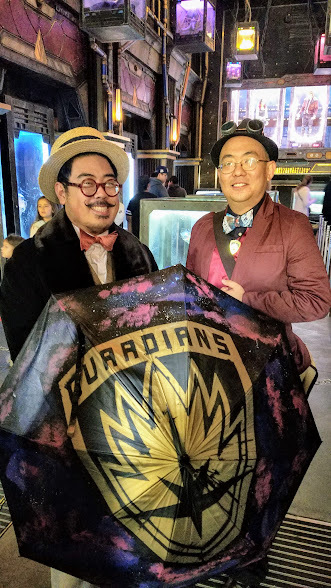 The amazing Guardians of The Galaxy umbrella was created by my super talented friends Amanda and Matt! We were tired of being on display so Rocket planned our escape! Aubree had nothing to do with our escape! I guess it's ok to take a photo of the place that we were once held captive! 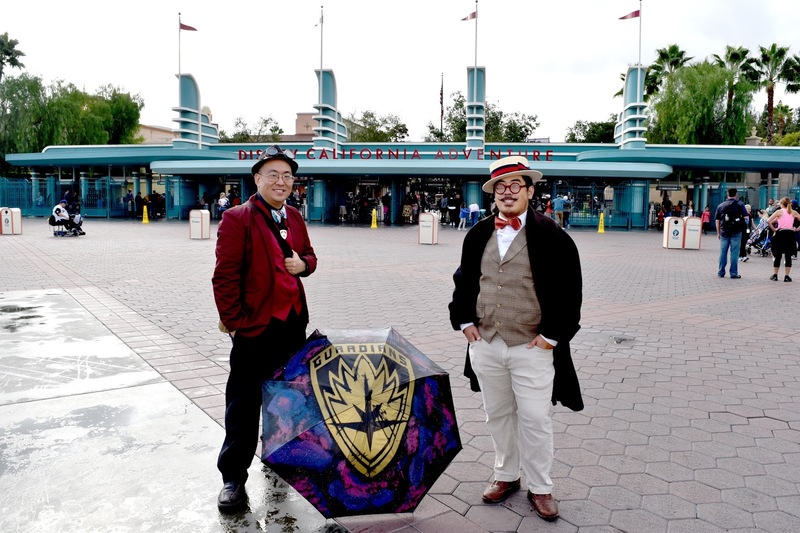 We escaped The Fortress and the Disney California Adventure! Now it was time to make our way to Disneyland!